This recipe is inspired by my wonderful friends – it’s sort of a blend of the recipes that you all sent me! I took it to hubby’s family Christmas celebration on Sunday, and it was a HUGE hit – people just couldn’t stop talking about it and asking me for the recipe! It always feels good when you find a recipe that gets that sort of attention. So here it is! 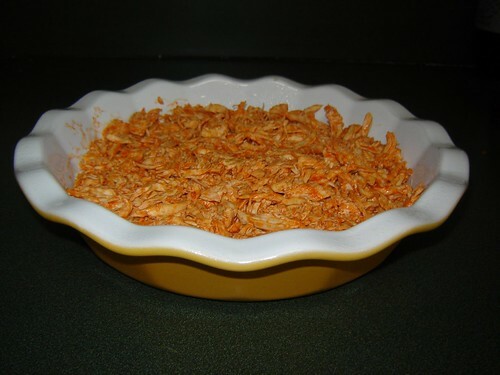 Grease a 9″ round pie dish or baking dish, and preheat oven to 375 degrees. 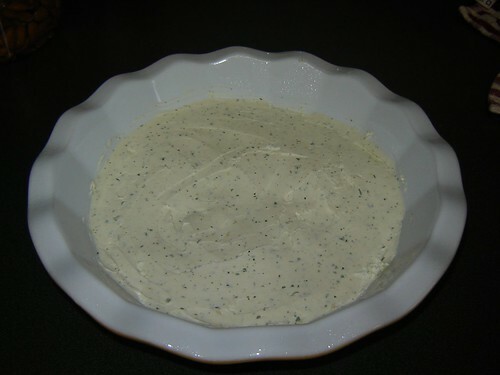 In a medium bowl, mix together cream cheese and ranch seasoning. Spread mixture in the bottom of the prepared dish. 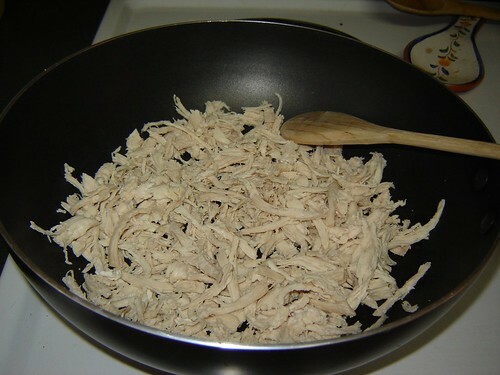 In a large skillet, heat shredded chicken over medium heat until warm. 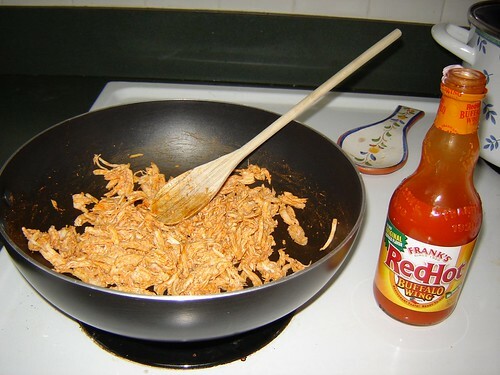 Add buffalo sauce, and cook for about 5 minutes, stirring and allowing the sauce to permeate the chicken. Top the cream cheese layer with this chicken mixture. Sprinkle Monterrey Jack cheese on top. Bake for about 15 minutes or until mixture is bubbly and cheese is melted. Serve with Fritos and sliced veggies for dipping.